Here it is: the great potato twister, the magic tool, perhaps one of the most clever contraptions ever made for a potato (after the masher of course). 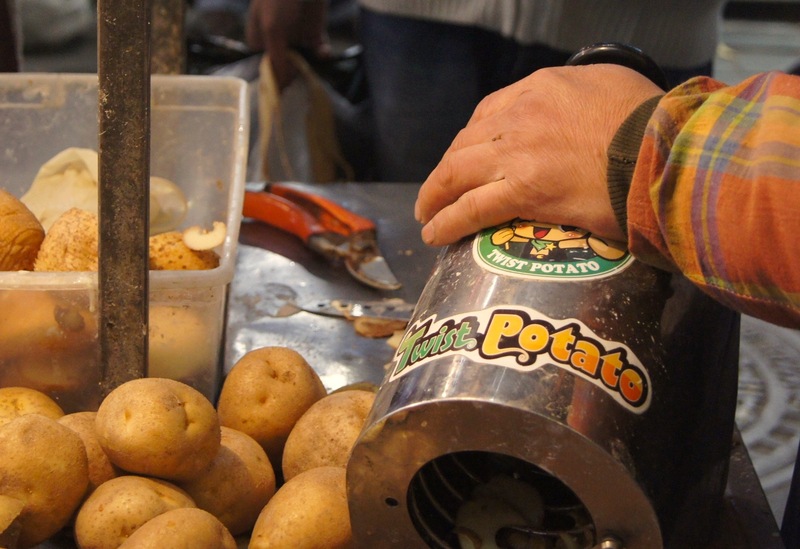 But Koreans don’t mash their beloved potatoes, they twist them, and they twist for a delicious purpose. Behold! – The Potato Hot Dog. 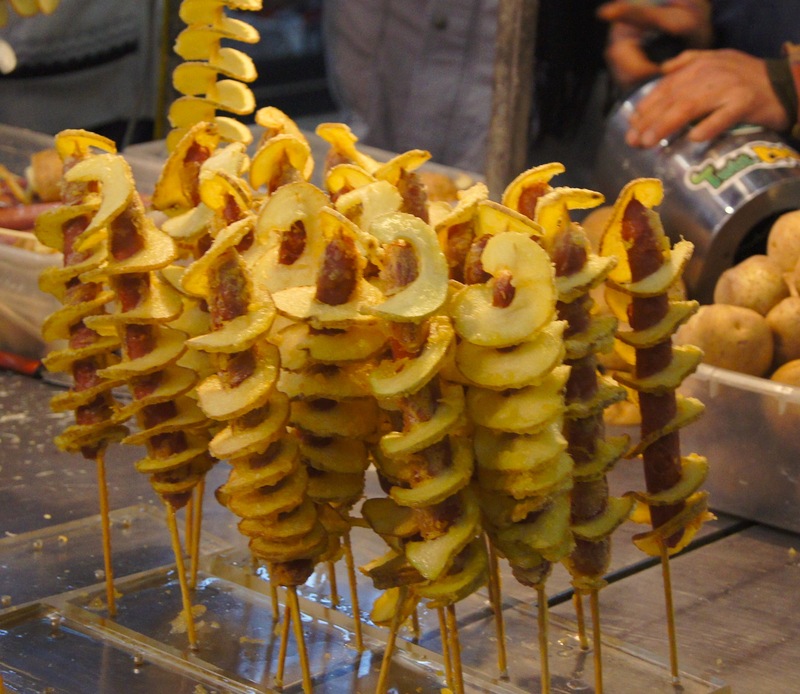 A simple hot dog is spun into a twisted potato, skewered, dipped in a light flour batter, and deep-fried to a golden hue. 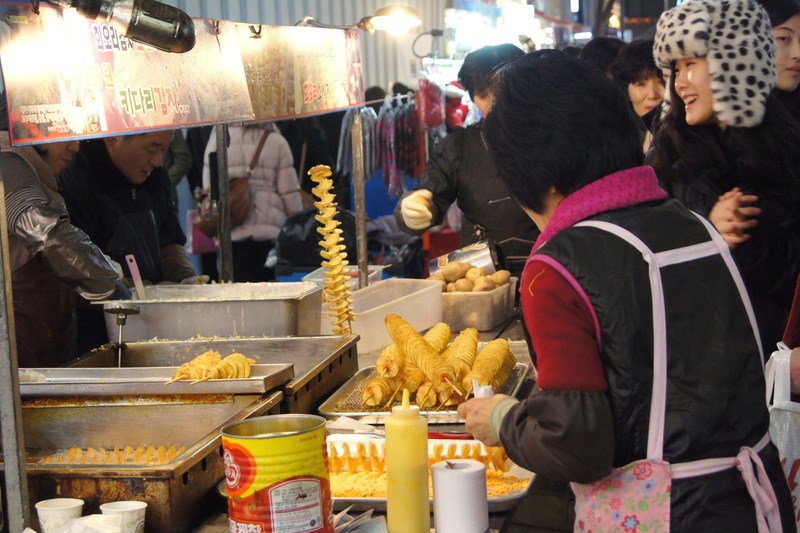 Vendors of this delicious snack can always be found in Seoul’s popular shopping district called MyongDong. Just when you think Korean street food vendors have perfected the art of merging Western flavours with Eastern cooking methods, they always come up with a new treat to keep hungry shoppers flocking to their stalls. 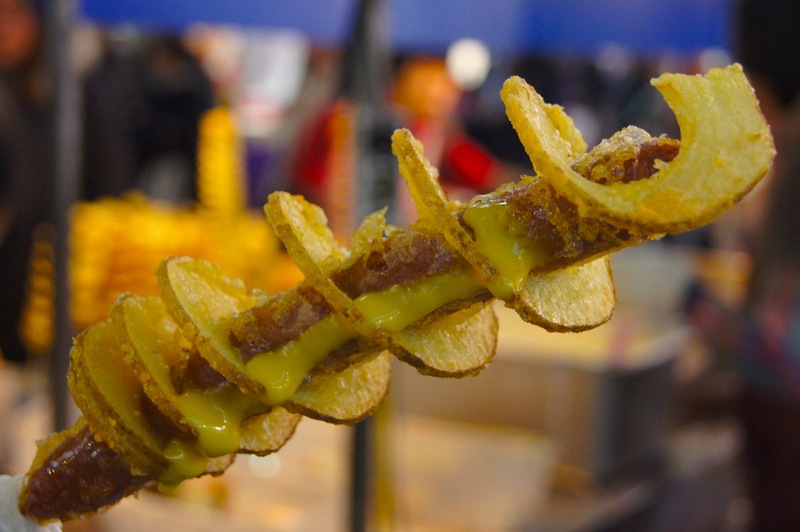 Hit by a crisp overlay of potato, tossed with a sprinkling of cheese powder, and finished off with a blaze of sweet mustard sauce, this tornado will disappear in seconds. Your post made me hungry for Seoul’s street food! this looks really delicious! I tried something similar (without the hotdog, of course, hahaha) at a cultural fair in Mississauga and it was wonderful. That is one whirlwind of a potato! Great blog post and fantastic pictures, I feel like reaching in and picking one up now! I miss Korean street food! Never saw this sausage/potato combo before though… genius!